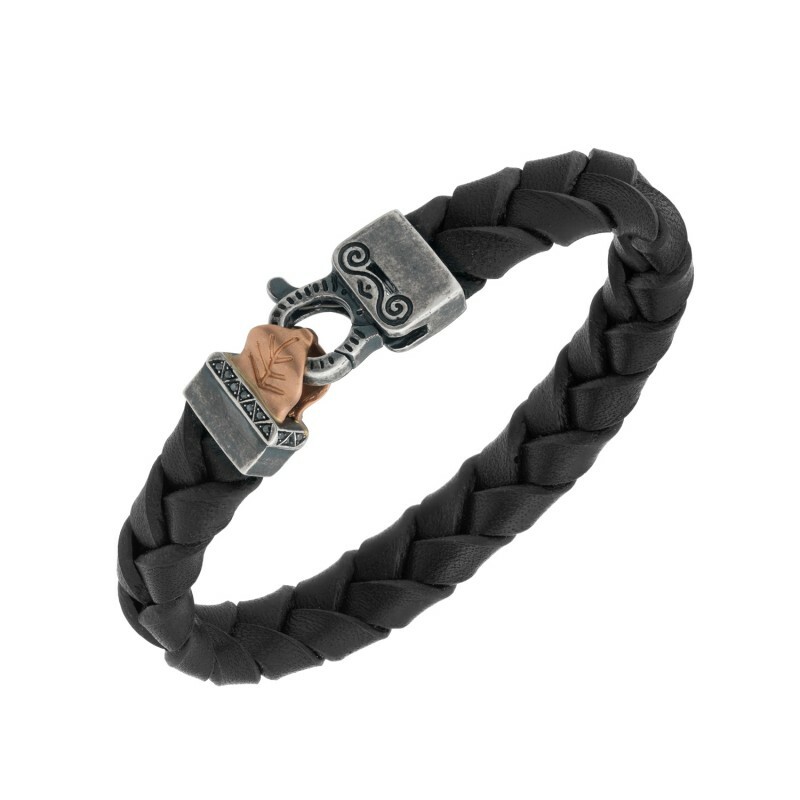 The Leather Bracelet with Rose Gold is a rugged bracelet in black leather, set with an 18kt rose gold plated tongue, 925 oxidised silver and 0.07ct black diamonds. Marco Dal Maso Jewellery collection, these pieces are inspired by the tattoos, culture, mythology and history of the Maori. Each piece symbolises and emphasizes the traditional craftsmanship techniques of the country of origin, Italy, and are designed to be handed down from one generation to the next.